At their 11th extraordinary summit last November African heads of state and government requested the African Peer Review Mechanism (APRM) present an update on the State of Governance in Africa Report to the 32nd Ordinary Session of the African Union (AU) Assembly held recently. The APRM, working jointly with the African Governance Architecture Platform, subsequently prepared an Africa Governance Report, which stakeholders validated in January. Third, the report is generated by Africans for Africa, which improves prospects for the implementation of its recommendations. The good news is that the state of governance in Africa has generally improved. The strongest performance has been registered in socioeconomic development; the least gains have been recorded in democracy and political governance. Member states have recorded satisfactory performance in the area of economic governance and management, and corporate governance. 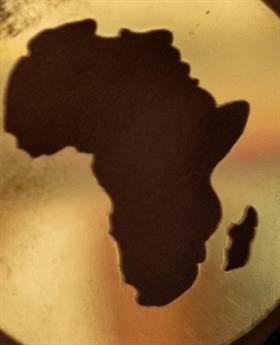 The Africa Governance Report focuses on five key thematic areas of priority, namely: transformative leadership; constitutionalism and the rule of law; peace, security and governance (“Silencing the Guns”); the nexus of development and governance; and the role of the regional economic communities in African governance. Transformative leadership is critical to the realisation of the AU and member states’ objectives. African transformative leadership has made significant progress towards consolidating the practice of democracy and formulating national visions. In addition, the African public appreciates democratic principles and practices, as manifested in its active participation in civil society and through the electoral processes. But much remains to be done. The report therefore proposes a range of recommendations for enhancing transformative leadership. Among other things, member states should continue to align their national visions with the AU Agenda 2063 and the UN’s sustainable development goals (SDGs), their national development plans and, in some cases, their national plans of action (from the APRM self-assessment process). Members should also end all forms of discrimination and exclusion as well as promote democratic principles and institutions, popular participation and good governance; and, more importantly, promote and protect peoples’ rights. On constitutionalism and the rule of law, there are signs of progress, including the encouragement of democratisation, respect for presidential term limits in many constitutions and respect for human rights. Many member states have also progressively introduced institutional checks and balances, including systems of judicial review. However, several constraints and challenges require action, such as establishing and strengthening integrity and anticorruption programmes and strategies, and member states consistently submitting the periodic reports required by the instruments they have committed to. On peace and security, the AU has committed to implementing decisions and actions that would lead to peace, security and good governance, to Silencing the Guns by 2020. There have also been several efforts by the AU, regional economic communities and member states to prevent and mediate conflict and establish stability. Although the number of large-scale inter-state wars has declined, instances of intra-state conflicts, violence, unrest and terrorism appear to have increased in the past two decades. To deal with this, the report recommends that member states should: sign, ratify and domesticate all the crucial instruments; and fast-track the rapid deployment capability of the Africa Standby Force. On development and governance, the report observes that although many member states formulate national development plans (NDPs), the implementation of plans faces several obstacles and challenges, including that they are not adequately aligned with the AU Agenda 2063 aspirations and objectives of the UN SDGs. To address these challenges, the report recommends that member states align their NDPs, their national visions and, in some cases, their national plans of action with the AU Agenda 2063 and UN SDGs; make plans and programmes that aim at inclusive human development; and formulate realistic plans that ensure prudent and sustainable use of scarce natural resources. Finally, the implementation of these recommendations will require the harmonisation and coordination of the functions and responsibilities of the regional economic communities with the AU. The proposed recommendations are to enhance collaboration between the AU and regional economic communities, in line with the decisions of the AU Assembly. One hopes the Africa Governance Report will spur debate in the continent and assist all nations to take a closer look at the progress being made. The overall story is that of a continent alive to its challenges and systematically working to improve how it is governed. In the next few months this debate will be taken to all corners of the continent through seminars and road shows, so the African people can participate in this important conversation on how they are governed.